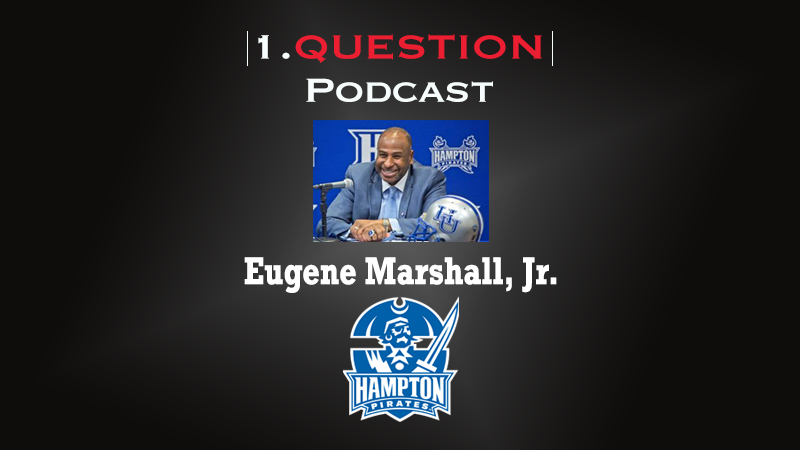 Eugene Marshall, AD at Hampton, visits @TaiMBrown to discuss Hampton’s move from the Mid-Eastern Athletic Conference (MEAC) to the Big South. Marshall discusses the process of explaining the benefits of the change to the University’s constituency. He also talks about the innovative mind of Hampton’s president, Dr. William Harvey, who has led all of the major changes at the school since 1978. With Harvey’s support, Marshall has taken the Pirates to new heights in academics, as well as athletics.